Myth Buster - Is Germany Dog-Friendly? Not Really. In (a very delayed) response to why Oscar isn’t more involved in our day to day activities, here is a brief look into our experience of having a dog here in Germany (for reference, see comment on this previous blog post). I could be wrong and I can only speak from the voice of one person’s experience, but Hiltrup (and the NRW in general) doesn’t seem to be the friendliest place on earth for dogs. Each day on my Oscar walk, I get to see lots of old, miserable people who I swear haven’t laughed since 1971. I secretly want to see if somehow I could make them laugh, just to see if their face would break. 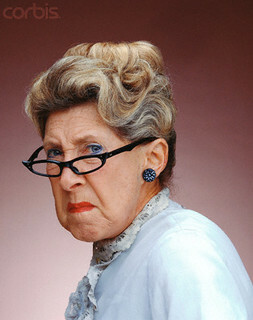 My mother-in-law had an old man growl at her on her last visit. "He just literally growled at me as I walked past." After a few visits here, she wasn’t surprised one bit and told us that she was used to "The Coldness." 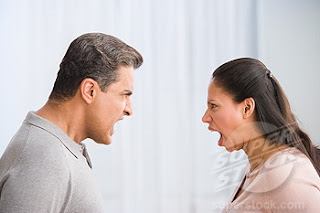 Don't confuse this with our previous post about our nice neighbors who seem to be a minority of overly friendly, helpful people; whereas most other people here have an unreasonable and unjustified suspicion towards everyone and are quick to point out faults in strangers with sharp, gruff verbal confrontations on the street. I hate walking our dog because of "The Coldness." In Florida, Oscar was king. Everyone in our neighborhood knew him by name and only knew me as "Oscar’s Dad." Occasionally here, there are really friendly people who come up to me and want to know about Oscar. Most of the time, people avoid me even to the point of crossing the street. People veer away and sneer at me, and mothers grab their children as if I am walking a wild tiger down the street. The other alternative to walking Oscar down the Main Street in Hiltrup is to take the back streets. 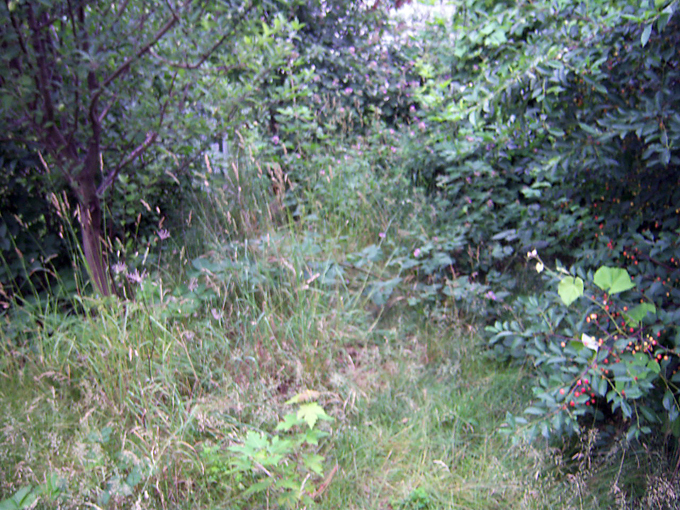 This where these same old, grumpy people walk home from their shopping and perch themselves at the windowsill to make sure no one steps foot on their carefully crafted yards. I am almost convinced that they age, the love they had given to their family and children is replaced by the love of their yard/garden. One day in Borken, Dana got yelled at so badly about Oscar peeing on some shrubs, pointing out one browning leaf out of literally thousands that was not a brilliant green, and that it was Oscar’s fault (presumably the only dog in the city!) even though they never actually witnessed his infraction. In these cases, we are never asked nicely to do something. It’s always in the harshest 0-to-100 in 2 seconds way imaginable. I could be wrong, but there seems to be a lot of anger behind these requests. Little do they know but prior to the tongue-lashing we rarely walked Oscar by this house, but after the old couple reprimanded Dana, she actually went out of her way to walk Oscar by their house more often so he would pee on their bushes (and maybe once or twice "forgot" to pick up his poop by their walkway). It was imminently satisfying. 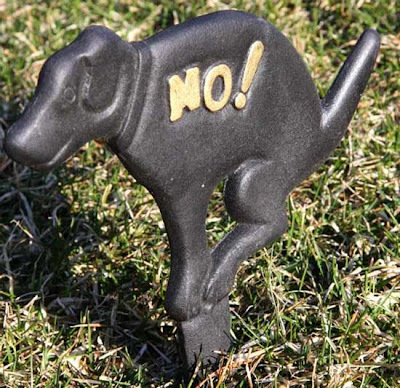 I find it ironic that the same yards that have signs of ‘No Dog Pooping Allowed’ are littered with cigarette butts and other trash. We respect the sign ... unless you yell at us. If you couldn’t tell yet, I am at my breaking point. My German level is ok enough and my anger of being talked to like that is high enough where the next unlucky person to growl, yell, or otherwise play the role of dog police is going to get 3 years of pent up frustration. The response is going to be in German and in English. It will likely be laced with expletives and otherwise ungodly words. It will be relentless. Hopefully, Dylan won’t be around for it. We love living in Hiltrup. Our dog-walking experiences are among the few negative experiences we can associate with living here. So please, if you see me with Oscar in Hiltrup, don’t be afraid of us. And definitely don’t yell at us…you could be the unlucky victim. 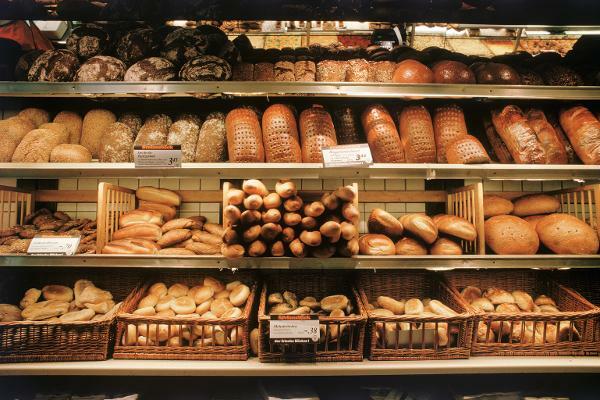 Bread: We eat bread with everything now and make daily trips to the local bakery. 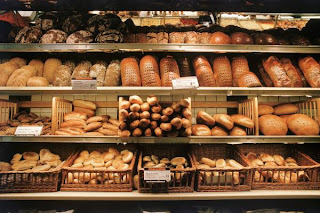 Mehrkornbrötchen is our go-to bread, but Dylan prefers the Rosininenbrötchen. 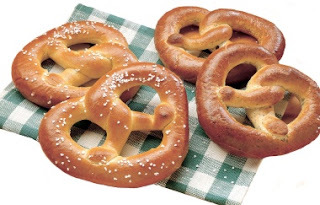 Bretzeln: We actually bake pretzels (Bretzeln) in our oven for our Sunday afternoon snack. Yes, we have 4 to 5 different types of mustards in our refrigerator at any given time. Bratwursts: We eat this more often than I am willing to admit on our blog. 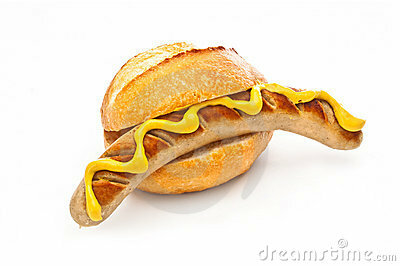 We originally ate these with real hot dogs buns, but now use normal German brötchen. In America, we ate brats once a year and it was a really special occasion. 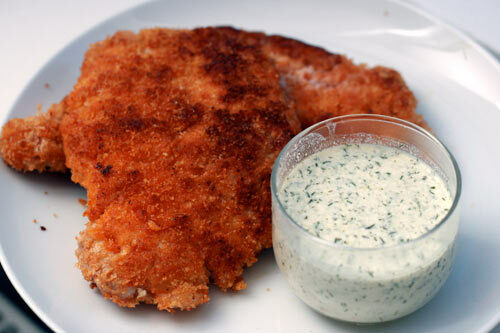 Schnitzel: If bratwursts are the go to meal at dinner, then Schnitzel is the second in line. Again, this is really easy to cook here, so when Dana puts me in charge of dinner, I always rely on this meal. 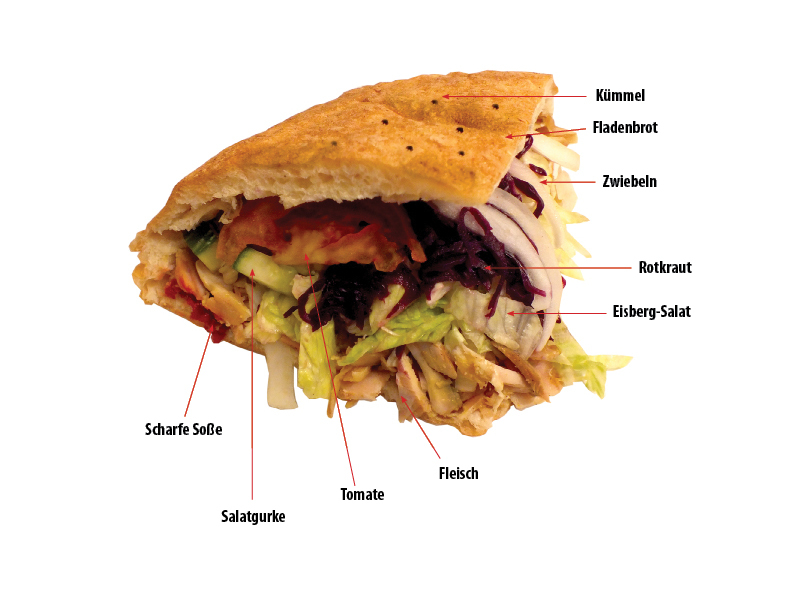 Döners: I can’t remember the last time I ate at McDonalds or Burger King, because every time I want a quick meal on the go, it is always a Döner. Same goes for Dana and the rest of the family. 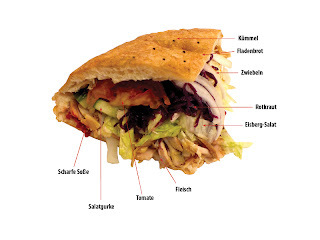 If the Professor thing doesn’t work out after the PhD, then I will start my own Döner franchise in America. This is a multi-million dollar idea just waiting to get executed. 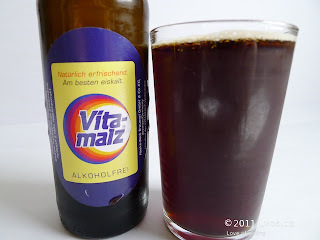 Beer: We don't actually drink beer all that much and have been limiting ourselves to a Saturday indulgence. That being said, Dylan really enjoys the "kinder bier" that they have here, which is like a malt-flavored soda that comes in a beer bottle and is marketed towards kids.